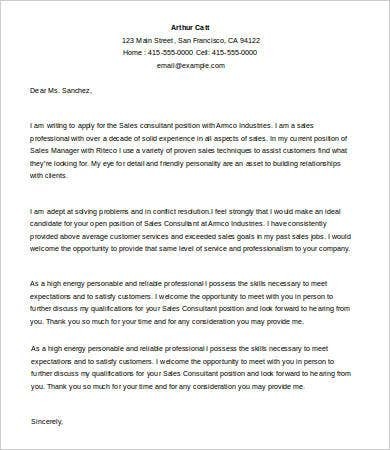 A cover letter is a document that is attached together with a resume when an applicant submits his intent for application to a company where he or she intends to work. 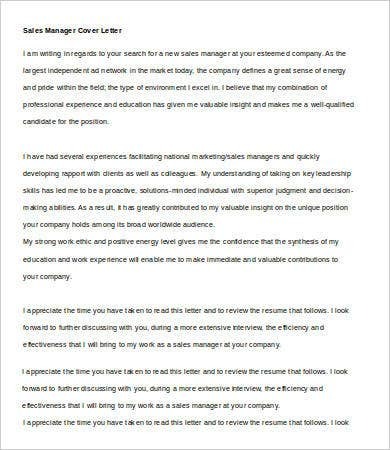 A cover letter serves as a support to what is written in the resume by adding items that are essential for the requirements of the job in terms of acquired skills and work knowledge. 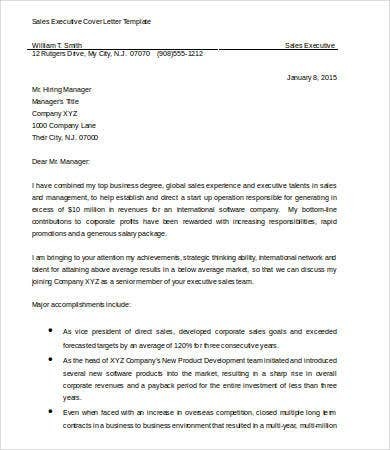 You may browse through our Cover Letter Templates and see how this document actually looks like, including information about its content. 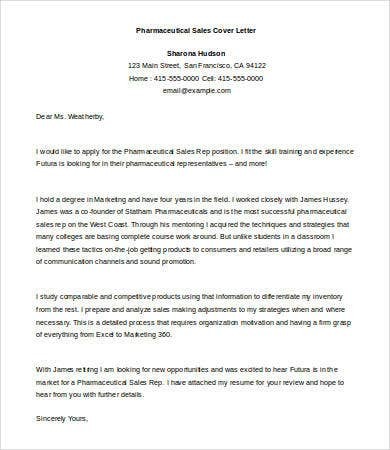 Especially if you are working in a very competitive field like sales, adding a cover letter to your application can just do wonders that may land you an interview in the job you are targeting to get. The field of sales is all about selling the company’s products and services. 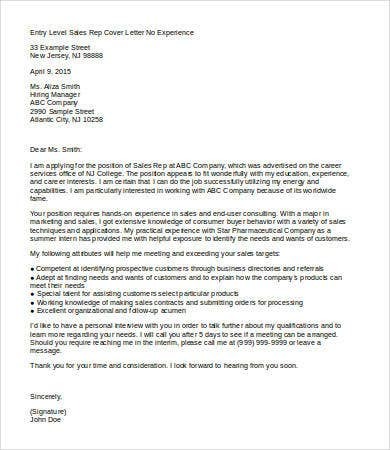 Your cover letter must include your experiences on being able to target your sales quota during your past interviews. You can enumerate the hard work that you always put to assure that you acquire skills in your mastery of your craft as a salesperson. Aside from the products and services offered, an important aspect of a business’s sales is its clients. As an applicant in this field, being a people person can be an advantage. 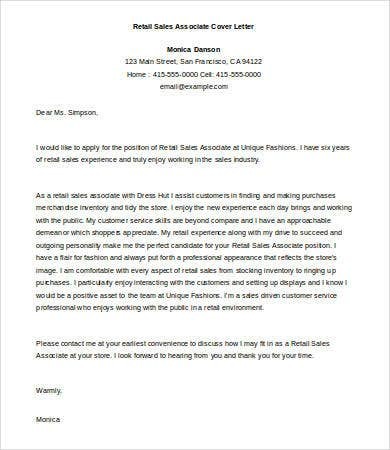 Assure the company through your cover letter that you have interpersonal skills and you can communicate well in a professional manner while making sure that clients enjoy their time talking to you and knowing all the things that they need to know before making a product purchase or getting the services that your company is offering. 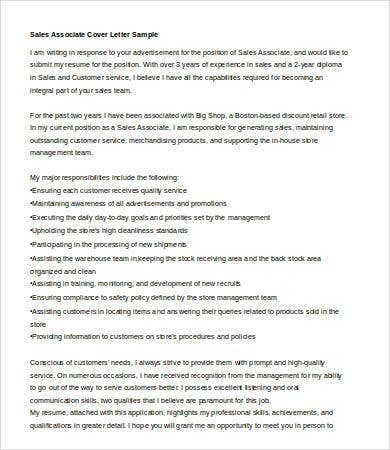 Adding these elements to your cover letters will surely help you land your dream job in the competitive dog-eat-dog world of sales. 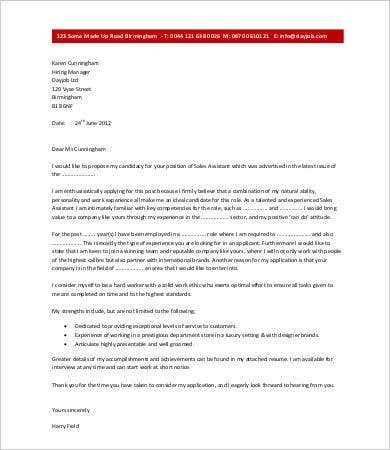 Check out our website’s selection of General Cover Letter Template and Job Cover Letter Template samples and adjust the information based on how you will be needing it and on your present qualifications. Provide work experience. 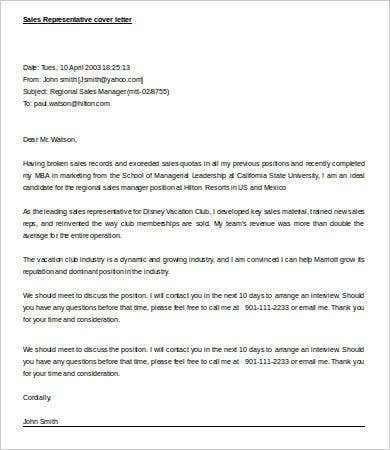 Since the field of sales is more focused on achieving the monetary and financial goals of the company, provide samples of your quotas that you have already reached or the extensive field work that you have already done that garnered more clients for the company that you have worked before. Act and look professional. Professional appearance is also needed for the job so you may add that you always look at how other people perceive you as you want to represent and reflect the company the best way possible. Provide a clientele list. Enumerating that you also have a list of past satisfied clients can give you a huge advantage. This means that the company can make use of your client profiles to offer their products and services as well. 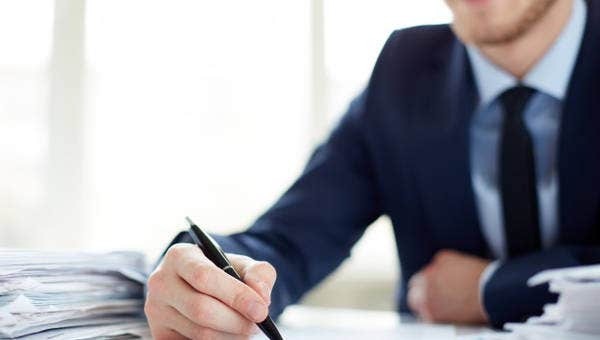 If you already think that having a comprehensive resume in applying for a sales position is enough, then try using a cover letter to accompany it and see the positive differences that it can provide. 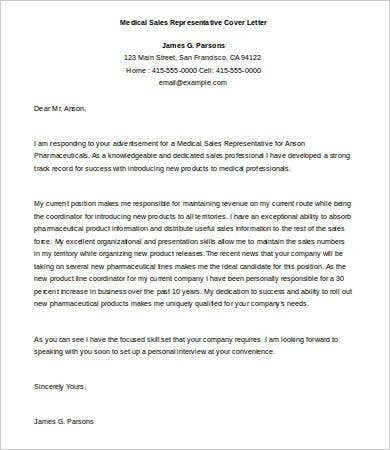 You may take a look at our Medical Cover Letter Template for samples of a cover letter on the specific field mentioned.